Today is free shipping day on Etsy. Today only – December 17th! It’s your last chance to order gifts in time to receive them for Christmas! Hook and Matter’s Etsy shop! 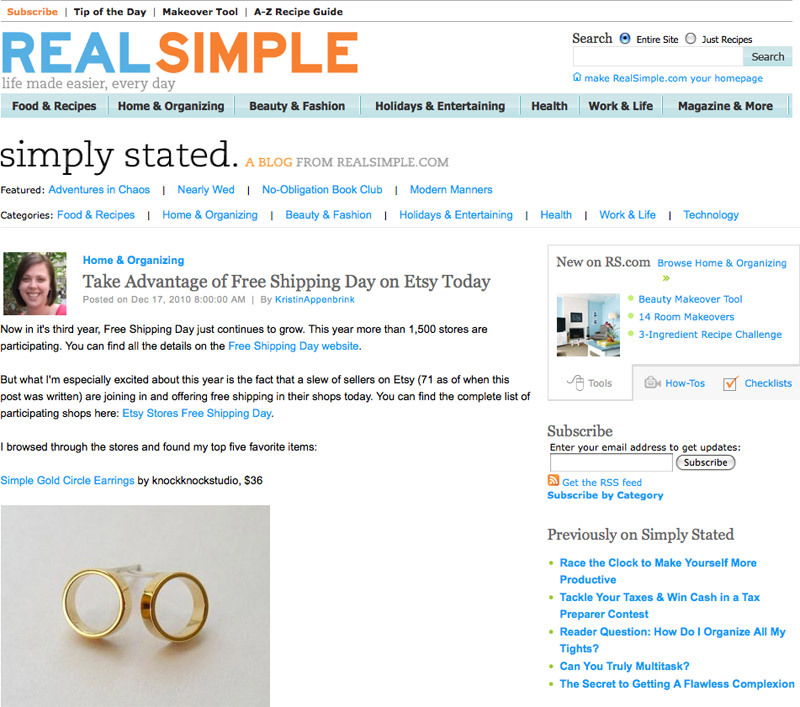 And, a mention on the Real Simple blog for my gold circle earrings!